Barnegat received its name from nearby Barnegat Bay and Barnegat Inlet. The inlet was originally “Barendegat” or “Barnde Gat”, meaning “inlet of the breakers” or “surf cove,” and was named by Dutch explorers of the coastline in 1614 because of the waterway’s turbulent channel. Barnegat Township is often described as a transportation hub due to its access to major highways such as the Garden State Parkway and U.S. Route 9, as well as its convenient access to both Philadelphia and New York City. This has resulted in a substantial population growth of 37% in the town over the last decade. This rapid growth has also meant an increase in the number of criminal, DWI and traffic charges heard in Barnegat Municipal Court. At The law office of Peter J. Bronzino, we understand that entering any municipal court proceeding isn’t only facing the legal process. We understand that the issues in municipal court are often deeply personal and can be stressful for individuals, their children, and their relatives. Our team works closely with all our clients throughout the legal process to deliver highly personalized and effective legal solutions. We are ready to aggressively defend your rights and needs in court. To speak with our offices today in a free consultation about your child custody issue, please contact us online or through our Brick offices at (732) 812-3102. 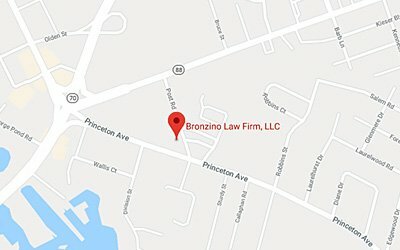 Just as other municipal courts in Ocean County, Barnegat Municipal Court possesses jurisdiction to decide limited types and categories of offenses. The vast majority of criminal violations falling within the authority of Barnegat Township Municipal Court and decided by Honorable Philip M. Miller are disorderly persons offenses. These misdemeanor criminal charges do not give the accused the right to a jury trial although they may result in a record and up to 6 months in jail. 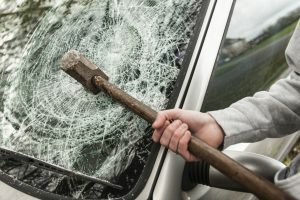 Also included in the court’s docket are traffic offense, including DWI, DUI, Driving While Suspended, Reckless Driving, Leaving the Scene of an Accident, driving without insurance and Possession of CDS in a Motor Vehicle. The Barnegat Township Municipal Court is located at 900 West Bay Ave., Barnegat NJ 08005. The Court Administrator, Michele R. Smallze, and the office staff can be reached at 609-698-0080, extension 110, on weekdays between 8:30AM and 4:30PM. Judge Philip M. Miller hears arraignments, pretrial motions and trials on the second, third and fourth Wednesday of the month at 9:00AM and 1:00PM. Joseph D. Grisanti, Esq., is the Barnegat Municipal Prosecutor. The Barnegate Township Police Department is located at 1297, 900 W Bay Ave., Barnegat and can be reached by phone at 609-698-5000. Municipal court proceedings can be very intimidating. The Bronzino Law Firm understands that the issues in municipal court can be stressful for individuals, their children, as well as the rest of their family. For that reason our attorneys work closely with our clients throughout the legal process to deliver highly personalized and effective legal solutions. We are the partner you need when facing any municipal court proceeding in Barnegat. 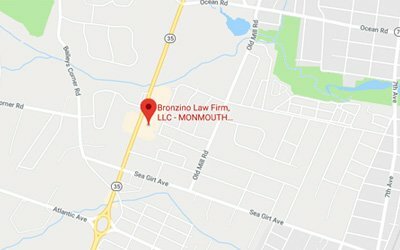 Bronzino Law Firm will work to protect your rights across Monmouth and Ocean Counties. For additional information and the answers to your pressing questions, contact the Bronzino Law Firm, LLC; Call at 732-812-3102 or contact us online to schedule a free initial consultation with an attorney to retain the experienced representation that you need.